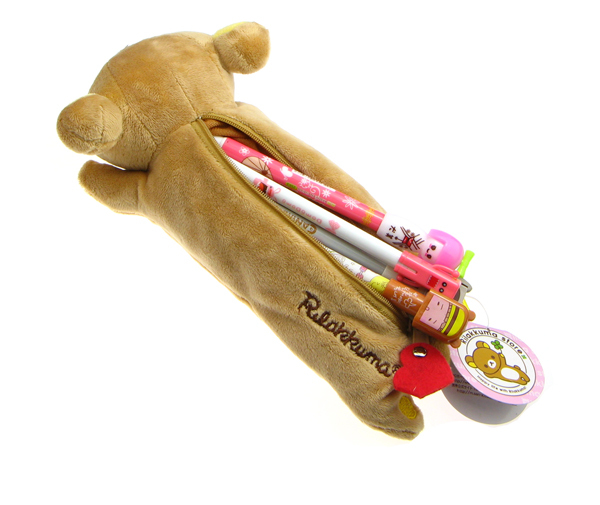 The Rilakkuma Plush Pencil Case is the most adorable way to store your pencils and pens. 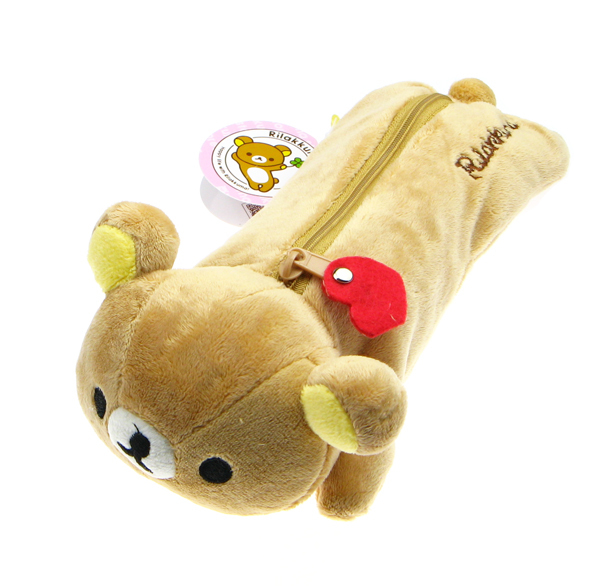 The case is made out of a soft plush material with all the features of Rilakkuma, his white belly, paws, tail and head. The pencil case is practical with a large zipped and lined pocket to hold your stationery. On top of that his body is embroidered with his name and the zip has a felt heart decoration. Images are for illustrative purposes only. Pens are not supplied.